As a family on a budget, I’m always looking for ways to cut our expenditures. Anything that helps to reduce, re-use and recycle is something I look for around the house, and in the studio. We have lived in old farm houses and mountain homes with lots of wood – wood floors, log, exposed beams. We have been lucky enough to collect some wonderful antique furniture too . Wood brings a sense of warmth into the studio, and I’m all about the sensory experience and feeling warm and homey around me when I’m wanting to create something new. All of that old wood needs special, but simple care to keep it from drying out, and clean. 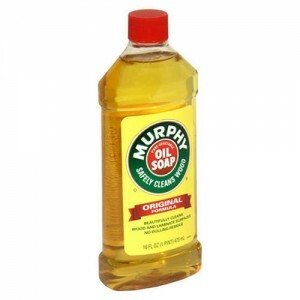 We’ve cared for those floors, trim and antiques with good old-fashioned Murphy’s Oil Soap. It’s done double-duty in the barn for me as a great alternative to expensive saddle and tack soaps, and does a great job cleaning leather AND horses manes and tales. It’s relatively inexpensive, goes a very long way, didn’t seem to leave an icky residue on my hands or dry them out, and it has a very pleasant citronella scent to it. I don’t like using turpentines, solvents, etc. in the clean up or in the painting process at all, so trying to find a way to clean up was becoming a challenge. Some of the special “studio” brush-cleaning soaps I purchased never seemed to last long, and seemed harsh on the hogs-hair brushes. One day, I tried a clean-up with the Murphy’s. WOW! It was incredible. It cleaned oil out of the brushes like a charm, and seems to do a good job lifting it out of that rare glob of paint I get on my clothing too, if I deal with it right away! I’ve tried pushing it a bit, and seeing if some dishwashing soap does the same. Sunlight liquid dishwashing detergent seems to come close, and you can get it in bulk at Costco, but there really isn’t anything I’ve found yet that is as good as my studio assistant, Murph. Buy the largest jug you can afford to capitalize on bulk savings. (It doesn’t go bad.) Shop around. Sometimes hardware stores will have it at a cheaper price than your grocery mart. Home Hardware in Canada usually has an ample stock. At the end of the studio day or session, remove as much of the paint from your brush as you can (I use baby wipes). Use the Murphy’s Oil Soap at full strength and get lots of it into the bristles, as far up to the ferrule of the brush as you can. I find warm water works best. So….you say you were too tired and lazy to take care of those brushes after your painting session? The paint is all glooped up on it and you know it’s time to make another trip to the art store to get new brushes? EX-PEN-SIVE!!! Pour some Murphy’s into a jar, and plop your neglected brushes in, making sure the paint you want to remove is covered. Leave them overnight, or longer, depending on how long the paint has dried in there. Go through steps 3-5 again. Be patient! Eventually, the paint will come out. I don’t think I’ve had to throw out a brush yet, after trying this technique. Used sensibly, Murphy is one of the greatest assistants in my studio, and a wonderful alternative to harsher soaps, detergents and solvents. Tell us what YOU use to clean up in the studio……. Good ole Murphy’s Oil Soap. Love the stuff! I tried it and found it worked very well. So did walnut oil from the grocery store.